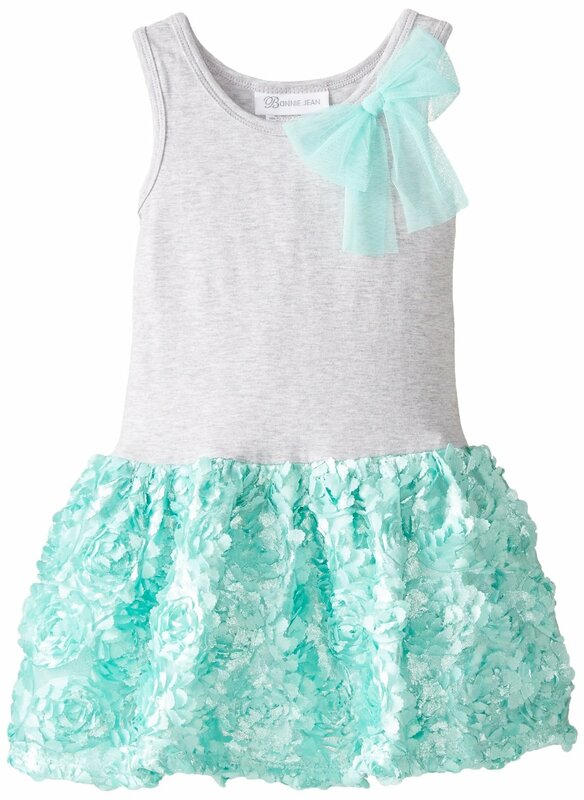 She'll look beautiful and be comfortable in this soft heather grey knit bodice dress with mint bonaz skirt. Machine wash. Imported.